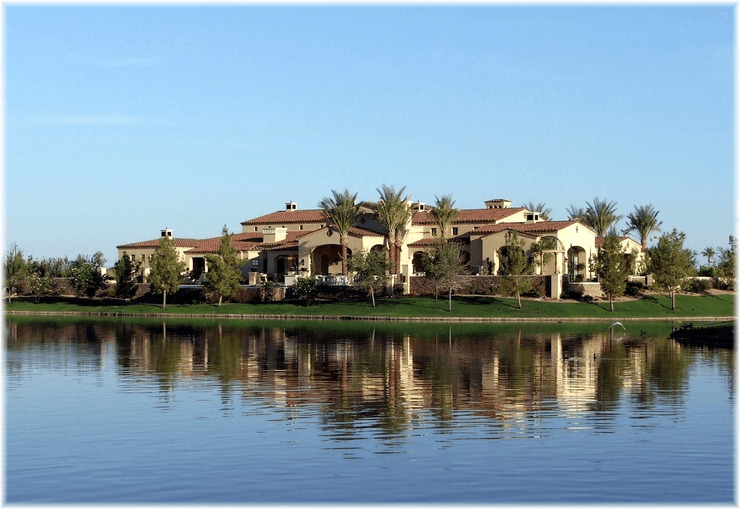 Chandler AZ Area Information with advanced real estate search of homes for sale. Chandler AZ Area Information includes Chandler AZ real estate market facts, school ratings, major employers and condos and homes for sale in Chandler AZ searchable by home feature, school district, schools, zip code, price range, popular subdivisions, etc. The average sales price of Chandler AZ homes for sale is UP 4% to $376,028, closing at 99% of the list price after 57 Days on Market. See all Chandler Real Estate Stats. Chandler Arizona has a strong community identity fostered by active participation in Chandler National Little League, Chandler American Little League and Pop Warner Football, Ostrich Festival, Art Walk, Jazz Festival, performances at the Chandler Center for the Arts and so many more events! Chandler also boasts having a number of high tech major employers, excellent schools run by four top school districts, a number of community sports and water parks, upscale shopping malls, a joint Chandler - Gilbert community college and within close proximity to multiple ASU campuses. Chandler's transportation system includes a convenient valley-wide bus system, three freeways and private, municipal and regional airports. AARP magazine named Chandler Arizona "Best Place to Retire" in the Southwestern United States. I can't believe it took them this long to find that out. But Chandler AZ has much more to offer retirees who come here seeking a carefree lifestyle in one of our Arizona retirement communities. Chandler AZ has a strong employment base with prestigious major employers that include: Intel, Wells Fargo Bank, Bank of America, Chandler Regional Medical Center, PayPal, NXP Semiconductors, Microchip Technology, Verizon Wireless, Orbital ATK, Bashas', eBay, GM Innovation Center, and Cyrus One Networks. Chandler AZ is a young community with the average age of 34.9 years and well educated with 75% having some college and 41% of the residents having graduated from college with an average income of $90,820. From 2000 to 2010 census, Chandler grew 33.7% and has since continued to grow to a population of 249,964 residents as of February 1, 2016. In December 2014 WalletHub named Chandler #6 best place to find a job out of 150 of the largest U.S. cities!! The City of Chandler AZ and Chandler community profile provide a history of Chandler and list municipal services, activities, utilities, and other data. Chandler Demographic Data includes population studies, schools, and area employers. Chandler Economic Development provides a comprehensive and insightful review of the robust Chandler economy. Check out all the special events in Chandler AZ at the Chandler AZ Convention and Visitors Bureau website. This comprehensive Relocation and Visitor Guide is provided by the Chandler AZ Chamber of Commerce that is loaded with information to help you decide if Chandler is just what you are looking for. City of Chandler Library website. Please return often to find Chandler AZ real estate listings of homes for sale in Chandler AZ. Chandler AZ Real Estate Closed Sales DOWN 20%, Average Sales Price UP 4% and available inventory of 3.1 months, comparing March 2019 MLS data to March 2018 as shown in the table below. Chandler is an idyllic place to call home with Excellent schools and universities, organized little league and football, beautiful subdivisions, very low cost of living, an excellent medical, thriving economy with numerous high tech companies involved in semiconductor design and fabrication, satellite launches, communications to biotech and so much more. Price Comparison of Detached and Attached Chandler Properties - average March 2019 SOLD price of single-family Chandler homes for sale is $376,028 and the average SOLD price of Chandler Apartments, Condos, Lofts, Townhouses and Patio homes is $219,608. Listing inventory of homes for sale in Chandler AZ is UP 4% over last year while the average price of Chandler Arizona homes for sale is DOWN $17,794 from a year ago. With a low 3.1 month supply of unsold Chandler homes currently for sale, Chandler AZ real estate is considered to be a Seller's Market and a GREAT TIME TO LIST YOUR CHANDLER HOME FOR SALE. Sellers who make all repairs before putting their property on the market, stage their Chandler homes for sale and price them at or very close to market value should find a ready, willing and able buyer within a few weeks. Homes for sale in Chandler AZ during March 2019 took 57 days on average to go under contract. Prices of Chandler AZ real estate are UP 4% from a year ago and buyers will find a wide selection of Chandler homes for sale - both new and resale. Chandler AZ homes sold on average at 99% of list price last month. With negative growth in available inventory and increasing buyer demand, buyers should not expect sellers to be making large concessions... if any. Find Chandler AZ real estate listings of homes for sale in Chandler Arizona on the golf course or waterfront, gated luxury homes, gated golf retirement communities and beautiful, master-planned developments as Ocotillo homes for sale, Fox Crossing homes for sale and Warner Ranch homes for sale near Intel or Sun Groves homes for sale, Cooper Commons homes for sale, Markwood homes for sale, Old Stone Ranch homes for sale, Ashley Park and Clemente Ranch in eastern Chandler AZ. Listings of Chandler homes for sale AZ are updated daily. Search Chandler AZ real estate for homes, condos, foreclosure, retirement and investment property. Before purchasing a home, review the most recent 2017 - 2018 school year performance Letter Grades for Chandler Schools compiled by the Arizona Department of Education, based upon standardized test results released October 5, 2018. Chandler Unified School District, Mesa Unified School District or Kyrene Elementary School District #28 and Tempe Union High School District. Searching to find Chandler homes for sale served by the best Chandler schools in the best performing school districts or a favorite school? See homes for sale in Chandler AZ in the Chandler Unified School District. Here are Chandler homes for sale in the Mesa Unified School District. See these homes for sale in Chandler AZ in the Kyrene Elementary and Tempe Union High School Districts. Search Chandler homes for sale by Chandler AZ zip codes: 85224, 85225, 85226, 85248, 85249, 85286. Contact Sam for more information about Chandler AZ real estate and nearby communities. Contact Sam to request additional information and return often to my website to view continuously updated real estate listings of homes for sale in Chandler AZ.